I was looking for ideas for a mini quilt I wanted to make for a neighbor who is waging a tough battle against illness. Leafing through Quiltmaker's 1,000 Blocks I found Icicle Star by Sheri Diesburg, Dawn Koltz, and Ann Marceca on page 114. Bingo! 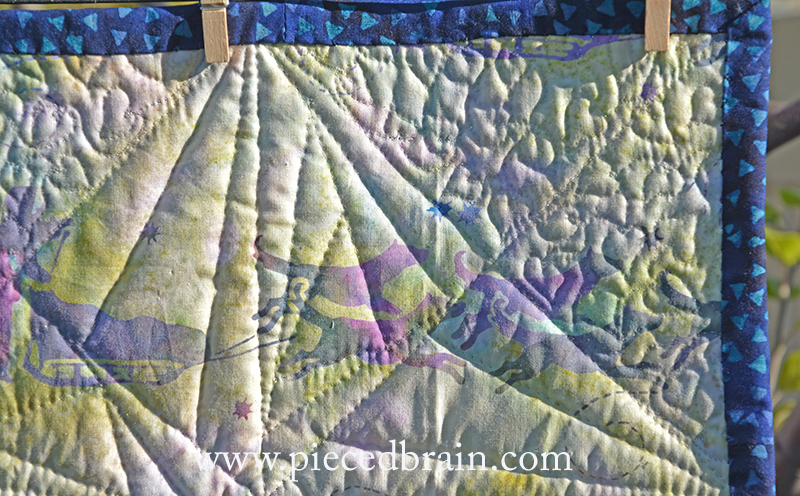 I pulled out blue batiks from my stash, printed the template which came in a CD, and went to work. Eight blocks later and my mini quilt, which I am calling "Love and Light", was done. This morning I quilted it using Aurifil monofilament - perfect for this project as I did not want the quilting to interfere with the wonderful designs and colors of the batiks. For backing I used a fat quarter a friend brought from Alaska. 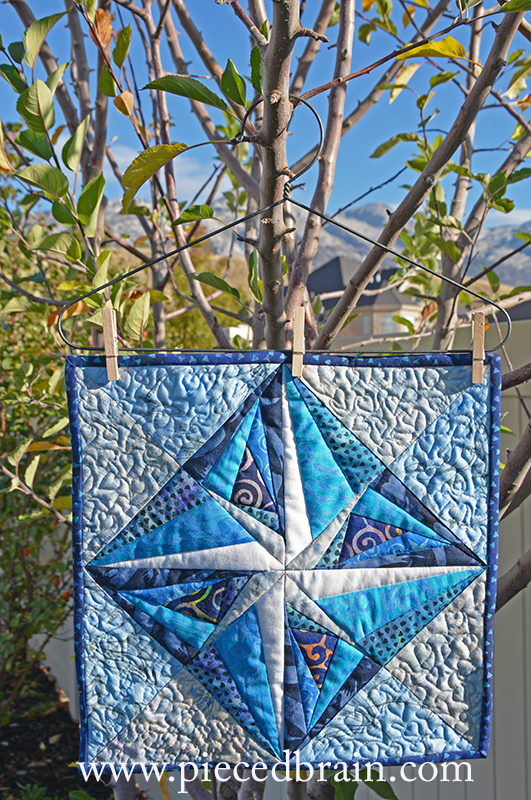 The light comes from the paper pieced star and the love from all the tiny hearts I quilted on it. I thought about her the whole time, so there is love in the process, too. Sometimes, this is all we can do: put a little of ourselves into a project and take it to them. So, if you know of someone who could use a boost and decide to make a "Love and Light" mini quilt, send me a photo and I will post it on this blog. That is lovely and I know she will be thrilled with it. Denise, that is AWESOME! 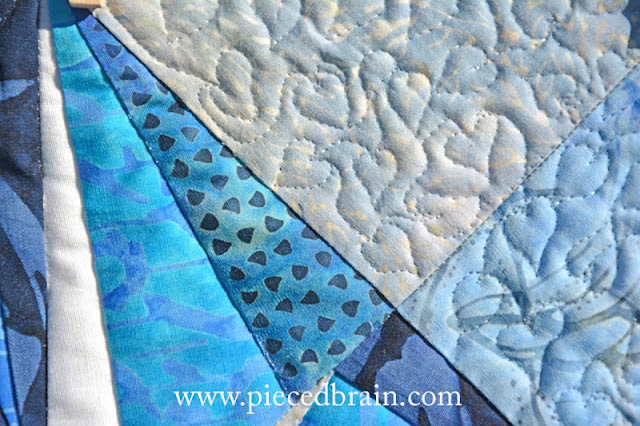 Your color choices & quilting - perfect!